Heron Bay is one of the clubs created by the PGA Tour. In the late 1970s, the PGA Tour was starting to boom. Deane Beaman, the future sighted marketing Commissioner of the PGA tour, came up with an idea. What if the PGA built state of the art golf courses and had the Tour events on their own course? 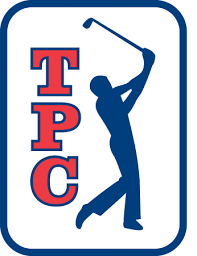 Today, the Tournament Players Club (TPC) is a chain of public and private golf courses operated by the PGA Tour. Most of the courses either are or have been hosts for PGA Tour events, with the remainder having frequently hosted events on the second-tier Web.com Tour or the over-50s PGA Tour Champions. One of the drivers for the development of the chain by the PGA Tour, is that by holding tournaments on its own courses, it avoids sharing the proceeds with external course owners. The flagship Tournament Players Club for the PGA Tour was TPC Sawgrass in Ponte Vedra Beach, Florida, designed in 1980 and now the headquarters of the PGA Tour. It was built for and continues to host The Players Championship, the PGA Tour’s signature event. it employs a distinctive “stadium” concept. Fans at the TPC sit in “stands” made of raised mounds of grass. It is known for its signature hole, the par-3, 137-yard (125 m) 17th, known as the “Island Green,” one of golf’s most recognizable and difficult holes. The second course built under the TPC banner was in North Broward County, Florida. The TPC Course at Heron Bay was built for the Honda Classic and designed by Mark McCumber. Now, the Heron Bay Golf Club is a separate entity owned and operated by Canada’s largest owner and operator of golf clubs. ClubLink Enterprises Limited has 45 locations throughout Ontario, Quebec and Florida. ClubLink members have playing privileges at other fine ClubLink facilities. This means that during season the golf course is heavily booked by vacationing snowbirds from Canada. In a nutshell, this is Heron Bay. Flat, sandy, treeless, windy with no sight lines. Other than that, a nice track. For the “regular” golfer, Heron Bay remains flat. It would be nice for walking if walking was allowed. The low-lipped bunkering is still in place and spray shooters will be frustrated by finding a lot of these traps. However, fairways are wide and inviting rewarding accuracy. When I played it, the greens were in very good shape, most are large with some undulation. Of course, the greenside traps often frame the sides of the putting complexes. More sand, so what’s new? I can’t speak to Heron Bay’s amenities. The pro shop was large and seemed stocked like resort shops around the world. The staff was congenial in getting you on the course. That might be because almost all the bookings this day were pre-paid by internet. I had no interaction with the restaurant or bar, so I have no idea if the hot dog special at the turn was worth it or, for that matter, the coffee or beer. I can say that the warm up/practice facilities are large and comprehensive. Better yet, they are on the way to the first tee. That is a detail often overlooked as, in my opinion, the driving range and practice area is usually an afterthought placed far from the starting tee. In closing, I can recommend Heron Bay as a place to play while in the SoFla area. But not as a “must play” course. There are far better attractions to enjoy. If value for money is important, Heron Bay fits the bill. I will bet that when your finished your round your feeling will be “meh…”, but you can say you played the course where Jesper Parnevik won the Honda Classic. Next, we’ll talk about the TPC Course just down the road from Heron Bay…Eagle Trace.